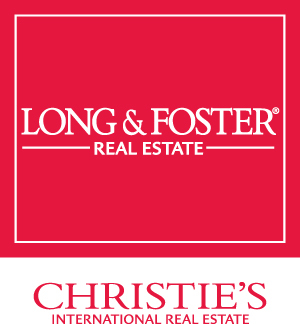 Anne Arundel County and Annapolis Maryland Information | Donna Wisniewski, Realtor 410-991-7305 donnawis@longandfoster.com Donna Wisniewski helps people buy and sell homes in Annapolis, Anne Arundel County, and Queen Anne's County, Maryland. Homes include houses, townhouses, and condominiums. Maryland, one of the smallest of the 50 states, is a cross-section of America. From its stunning coastline to the splendor of the Appalacian Mountains, Maryland offers a host of recreational and cultural pleasures. Situated along the Chesapeake Bay, Anne Arundel County offers great accessibility to both Baltimore and Washington, D.C. The sophistication and style of these cosmopolitan cities meshes seamlessly with the neighborhood charm of the small communities of Anne Arundel County. Annapolis, the state capital of Maryland, is filled with history and tradition. Annapolis served as our nations's first peacetime capital. Maryland's four signers of the Declaration of Independence had homes here and you can visit three of those residences today. A walk down our brick-lined streets puts you in touch with four centruries of history and architecture. There are more 18th century brick homes in Annapolis than any other city in the nation. There are even very informative walking tours through different locations in Annapolis. From the military precision of the Naval Academy to the grandeur of world-traveling sailing vessels, Annapolis offers never-ending excitement.Said by many to be the "Sailing Capital of the East Coast", endless opportunities await the recreational boater or racer. The Chesapeake Bay, celebrated by James Michener in his book Chesapeake. offers wonderful opportunities for adventure, discovery or relaxation. Annapolis takes advantage of its beautiful and unique location by hosting major-events each year. Some of the eagerly-anticipated events include the spectacular Eastport Yacht Club Lights Parade, the Maryland Seafood Festival, and the Annapolis Summer Garden Theatre. Additionally, one can listen to the United States Naval Academy Band at the City Dock or unwind with the Annapolis Symphony. Anne Arundel County is home to world-class restaurants where you can enjoy everything from traditional Italian favorites to innovative Fusion fare. Of course, Anne Arundel County is noted for its wealth of fresh seafood from the glittering waters of the Chesapeake Bay. Enjoy succulent oysters, tender Rockfish and our hometown favorite, steamed Chesapeake Bay Blue Crabs encrusted in Old Bay seasoning. Anne Arundel County's economy is one of the strongest in Maryland. It is supported by a diverse set of economic drivers such as Baltimore/ Washington Thurgood Marshall Airport, world-class private sector employers such as ARINC and Northrop-Grumman, and telecommunications, retail, and distribution services. Its rapidly-expanding information and Defense industry is fueled by the presence of the National Security Agency, Fort George G. Meade and key prime defense contractors. Anne Arundel County is ranked fourth in Maryland for defense contracts and is home to seven of the Top 10 defense contractors in the nation.